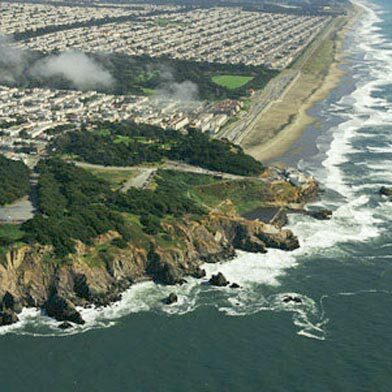 An 18-year-old man was rescued from a cliff north of San Francisco’s Ocean Beach early this morning, a fire department spokeswoman said. The rescue occurred at about 5:15 a.m. just north of the Cliff House, located at 1090 Point Lobos Ave., San Francisco fire Lt. Mindy Talmadge said. The victim was stuck about 15 feet below the cliff top, Talmadge said. Emergency responders went down the cliff and pulled the man up to safety, according to Talmadge. He was not injured.